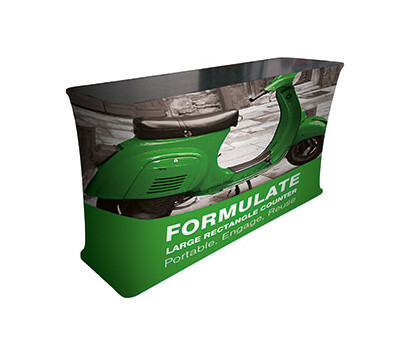 Building on the successful Formulate Counter range, the Large Rectangle Counter joins the collection. Benefiting from an extensive 1880mm wide tabletop, the counter can be used as both a table and a retail counter at an exhibition. Employ it in a retail environment and take advantage of the 360° fabric graphic wrap to make the most of a display.